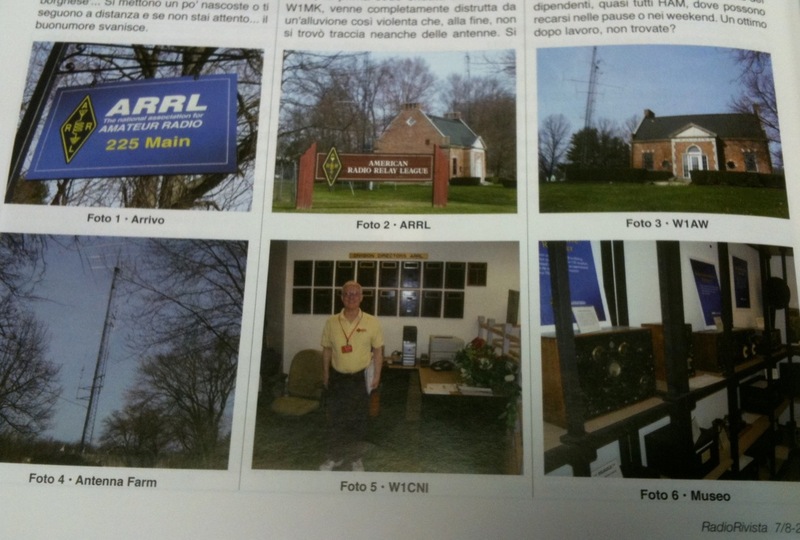 Our very own Club Secretary Dan Arnold, W1CNI is a volunteer at ARRL Headquarters and W1AW in Newington, Connecticut. 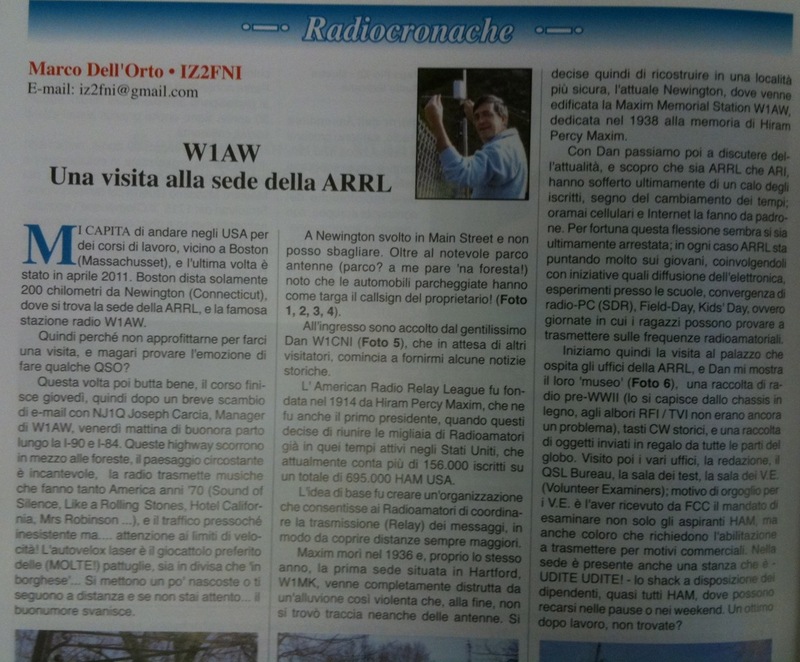 He recently gave visiting ham Marco Dell’Orto IZ2FNI a tour and was featured in an article about the visit in the Italian ham magazine RadioRivista, published by the ARI radio society. Congratulations Dan!